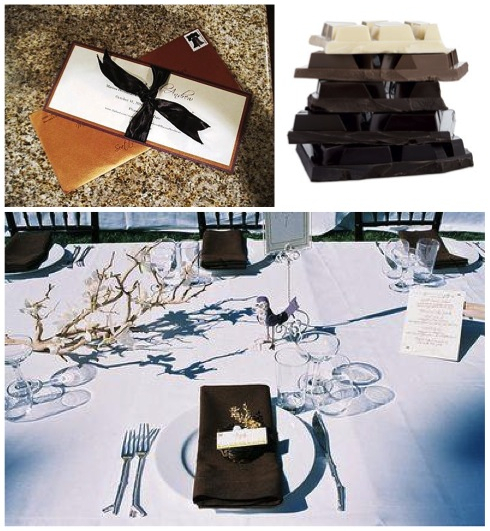 While watching the movie, Chocolat, this weekend, I was inspired to imagine a wedding centered around chocolate. 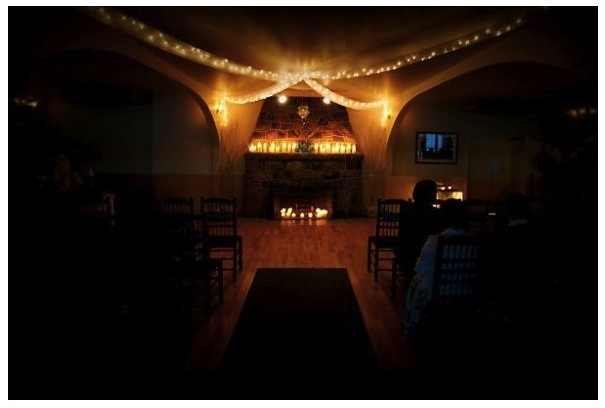 A rustic setting with warm chocolate touches. The invitation is reminiscent of a chocolate foil wrapper….. 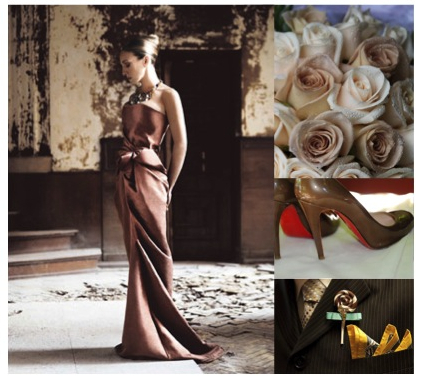 Bridesmaids would wear a chocolate satin sleeveless dress. The groomsmen wear a little whimsy on their lapels with a candy inspired boutonnière. Delicate and simple, the cake is white chocolate inside and out. 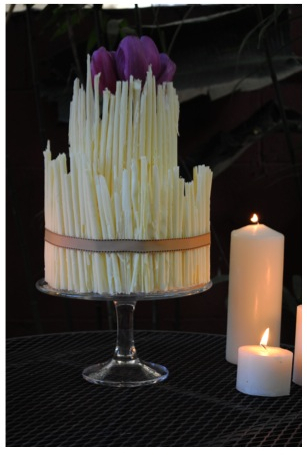 Chocolate cigarette curls decorate the outside while white chocolate cake with raspberry buttercream fill the inside. A simple yet sophisticated cake.